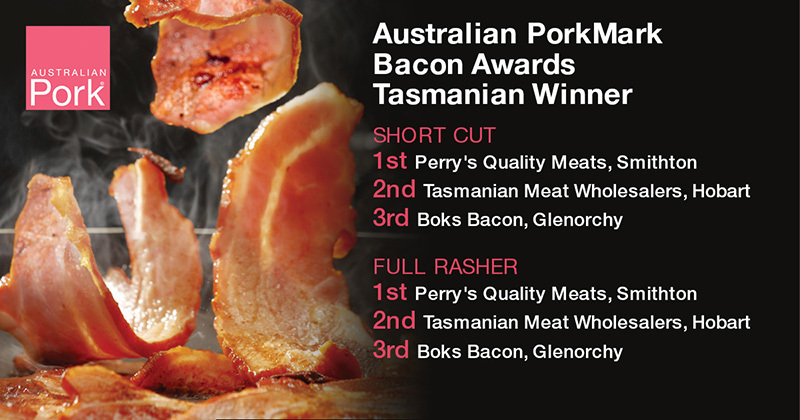 International Bacon Day is Saturday the 1st of September this year, and although it is a global celebration, we want to make it all about the best bacon in the world – Aussie bacon! 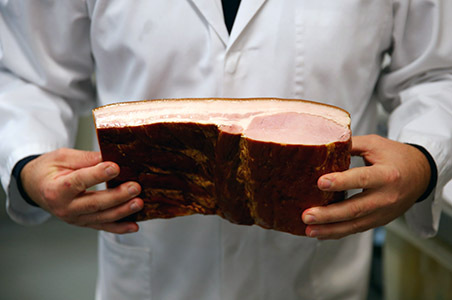 Most people are shocked to learn that 70%of bacon sold in Australia is made from imported pork, even though there is plenty of great tasting, high quality products made in Australian from 100% Aussie pork. By buying Australian pork, you’re not only helping our farmers, but also choosing a fresher, cleaner and higher quality product. 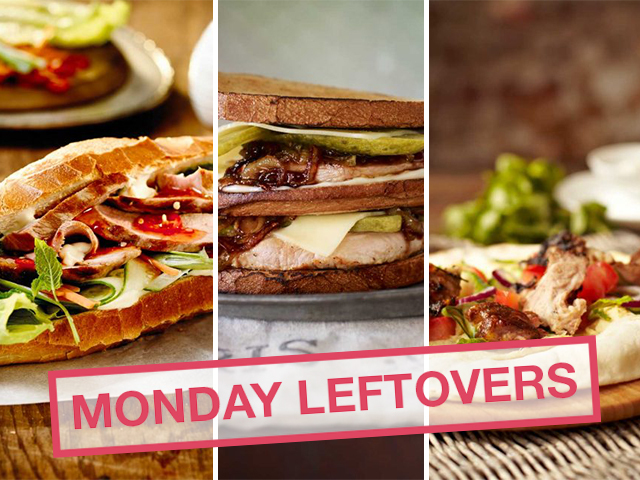 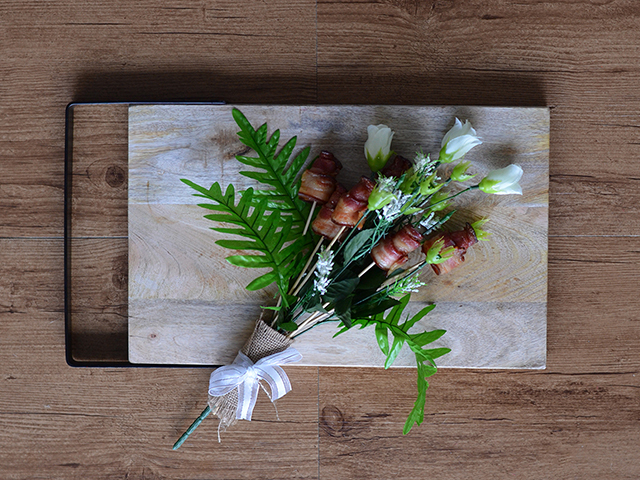 If you’re after some inspiration, check out our bacon recipes here or follow our hashtags. 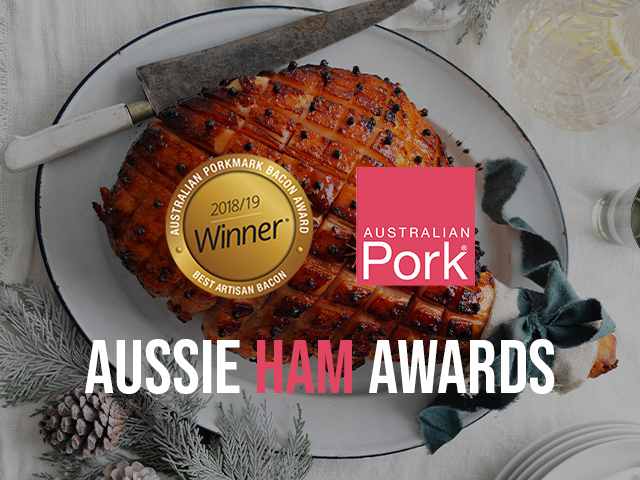 When shopping for Aussie bacon, make sure you look for the pink Australian pork logo on pack, or a product made from at least 70% Australian ingredients. 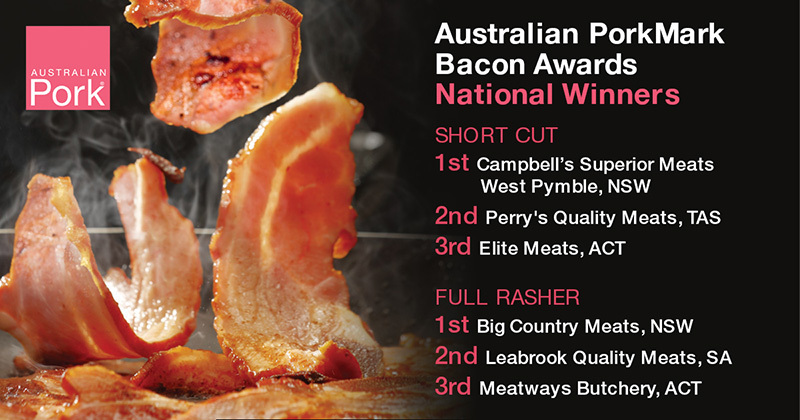 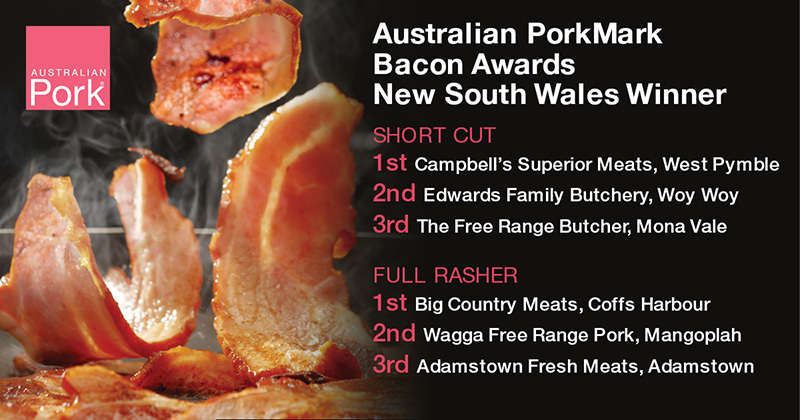 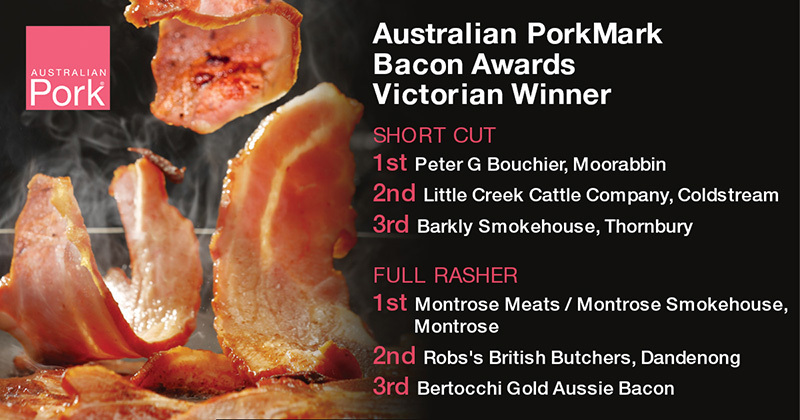 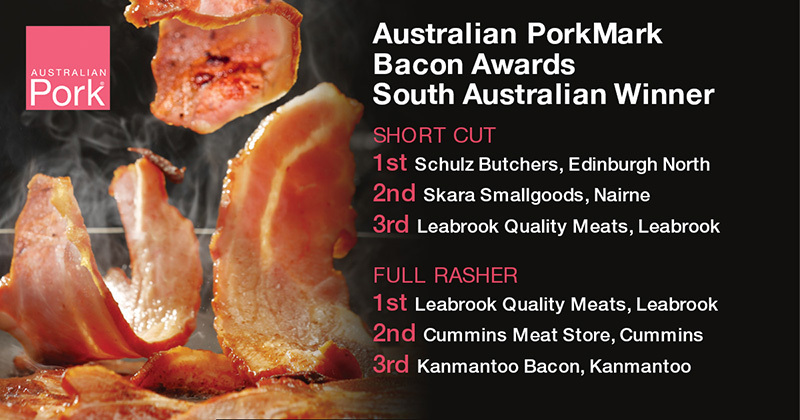 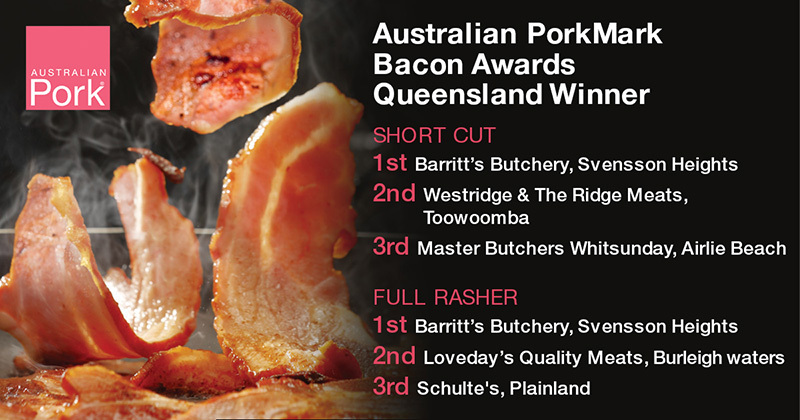 Just in time for International Bacon Day, Australia’s best bacon for 2018 has been revealed in the PorkMark Bacon Awards. 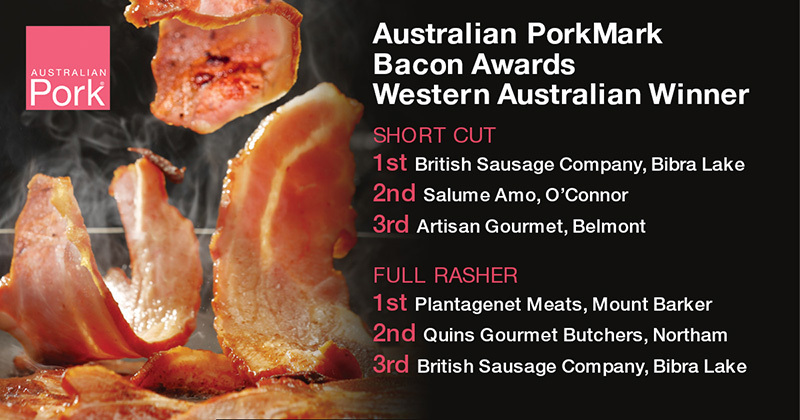 Specialist judges Fleischmeister Horst Schurger and chefs Simon Bestley and Adam Moore assessed the appearance, aroma and taste of over 125 incredible entries from around the country.